The two cracked beams holding up the Transbay Terminal were specially fabricated in California on so large a scale that experts warn they could be vulnerable to cracking due to built in problems. 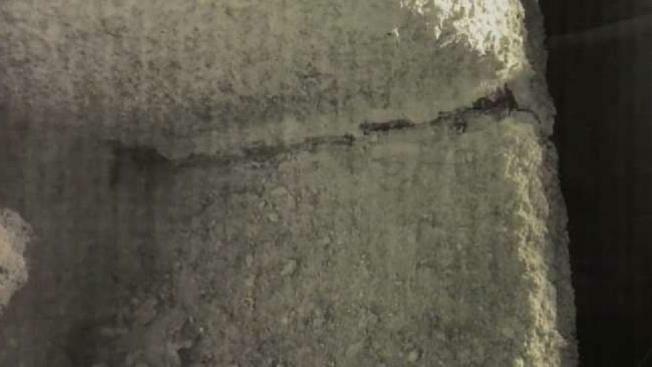 Mark Zabaneh, executive director of the Transbay Joint Powers Authority, said that the inspection so far found that one crack that is two and a half feet long. It runs across the bottom of one of the two I-beams that span Fremont Street and support the bus terminal and rooftop garden. The cracked bottom plate or flange is 4 inches thick. “The crack is two foot, six inches, because the entire … the flange itself is cracked,” he said. The flange of the second massive beam crossing Fremont Street also is cracked, Zabaneh said. The two giant steel beams were made specially in the San Bernardino plant of Stockton-based Herrick Corp. Officials there had no comment. Zabeneh says they don’t know the reason for the cracks, but research shows that constructing such massive I-beams carries the risk that irregularities can be hidden inside the steel, making them vulnerable to the kind of crack seen on the beam. And it is not just the steel that can be problematic. Welding to it can make an existing problem worse. Photos show that many smaller joints are welded to the two main support structural beams. Experts say the job now is to use ultrasonic and magnetic particle testing to assure that similar beams don’t have problems. Repairing them is another matter. Storesund says closing the center is prudent under the circumstances.